The sixth, and final, 100 Articles in 100 Days Marathon Challenge (#HAHD) is underway! Just think, if you dedicate the time to write just one article every day for the next 100 days, you’d add a completely new dimension of success to your article writing and marketing campaign. So why not start today? After all, today marks Day 1 of #HAHD 6. Have you signed up yet? 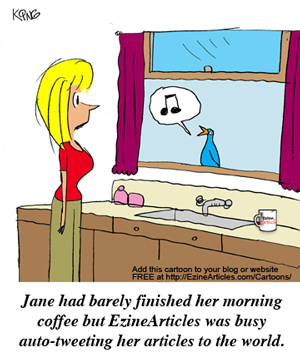 To be eligible for #HAHD 6, sign up now through your EzineArticles account. Once you sign up, your objective is to submit at least 100 qualifying articles of 400 words or more anytime between 12:01AM CT-US Monday, January 10th and 11:59PM CT-US Tuesday, April 19th. If you’re looking for more of a challenge, we’re also holding a Double #HAHD Challenge. Write an additional 100 articles (total of 200) in the same time limit and you’ll be rewarded with a bonus prize! #HAHD 6 is Coming Up Fast – Starts January 10th! Are you ready? The 6th, and final, “100 Articles in 100 Days Marathon Challenge” (#HAHD) begins in just 4 days! This challenge (and article writing and marketing, in general) requires a “marathoner’s mentality.” It takes a strong commitment to write high-quality, original articles consistently over a long period of time. That’s exactly the level of consistency you’ll want to develop if you want to be truly successful at article writing and marketing. To qualify*, sign up and submit at least 100 qualifying articles of 400 words or more anytime between 12:01AM CT-US Monday, January 10th and 11:59PM CT-US Sunday, April 19th. 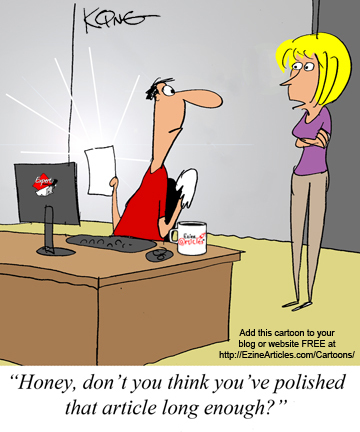 Once those 100 articles are approved, you’re qualified! #HAHD 6 will be the final installment of this writing marathon series, so step up and help make it the most productive challenge ever. The 5th #HAHD Marathon Challenge comes to a close on Friday, December 31st at 11:59PM CT-US. This deadline will be here before you know it. Keep submitting your high-quality original articles to qualify. To complete the Challenge, you must successfully submit 100 qualifying articles of 400 words or more during the 100 days of the Challenge, which ends tomorrow, December 31st. If you’ve signed up for this writing marathon, you can check out how close you are to the 100 article mark and any other goals you set for yourself with the #HAHD 5 progress bars in the Author’s Area of your account. 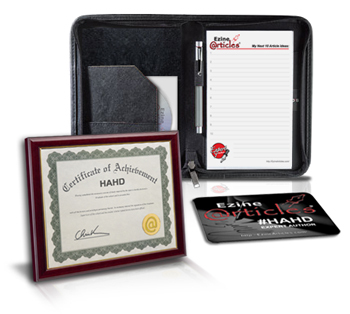 If you’re already past 100 articles and looking for more of a challenge, aim to qualify for the Double #HAHD Challenge. Write an additional 100 articles (total of 200) in the same time limit and we’ll reward you with a bonus prize! The fifth 100 Articles in 100 Days Marathon Challenge (#HAHD) is underway! If you set a goal today to write one article daily until December 31st and achieve that goal, you’ll have 100 new, high-quality articles to your credit by the end of 2010. In the spirit of that thought, today marks Day 1 of #HAHD 5. Have you signed up yet? To be eligible for #HAHD 5, sign up now through your EzineArticles account. Once you sign up, your objective is to submit at least 100 qualifying articles of 400 words or more anytime between 12:01AM CT-US Thursday, September 23rd and 11:59PM CT-US Friday, December 31st. Get more high-quality traffic driven back to your website. Develop a reputation of quality by sharing your unique expertise in your niche. Put yourself among an elite group of Expert Authors who’ve completed an #HAHD Marathon Challenge. The 4th #HAHD Marathon Challenge comes to a close on Sunday, August 8th at 11:59PM CT-US. This deadline is approaching fast! Keep submitting your high-quality original articles to qualify. To complete the Challenge you must successfully submit 100 qualifying articles of 400 words or more between Saturday, May 1st and Sunday, August 8th, 2010. Once you officially sign up in the Author’s Area of your account, you can use the #HAHD 4 progress bars to monitor how close you are to the 100 article mark and any other goals you set for yourself. Remember that submitting more articles means more high-quality traffic driven to your links. Also, completing this challenge will boost your reputation as an expert in your niche. 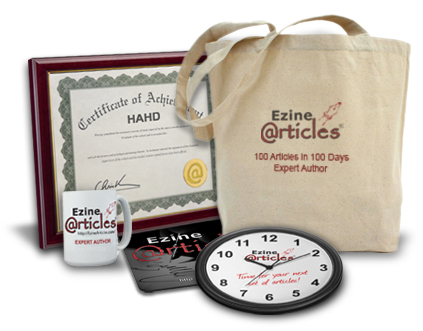 As a reward for completing the Hundred Articles in a Hundred Days Marathon Challenge (#HAHD), we send each qualifying member an assortment of cool limited-edition EzineArticles logo gear. If 100 articles isn’t enough of a challenge for you, we’ve also upped the ante this time by adding a Double #HAHD Challenge! Write an additional 100 articles (200 total) in the same time frame and we’ll reward you with more special prizes! Participating in this writing challenge is just one way you can set personal goals and stay motivated to write. Leave a comment to share your experiences of this #HAHD, past Challenges and how you stay motivated. 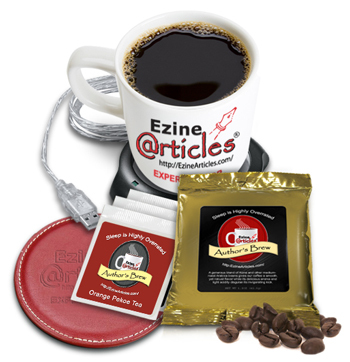 What was once merely an April Fool’s Day gag is now part of the real world of EzineArticles … and a reward for those who have already completed the #HAHD 4 Marathon Challenge! 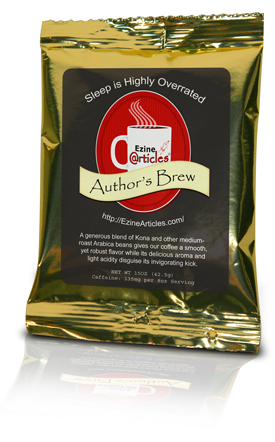 Less than 3 months ago, we had a little April Fool’s Day fun at our members’ expense by running a Blog post featuring a mythical line of highly-caffeinated beverages called Author’s Brew. These beverages were said to be formulated for the unique demands of article writers and marketers and were guaranteed to help you write and submit more high-quality, original articles than ever before. Introducing: (The Real) Author’s Brew. and an Overall Lack of Ideas!